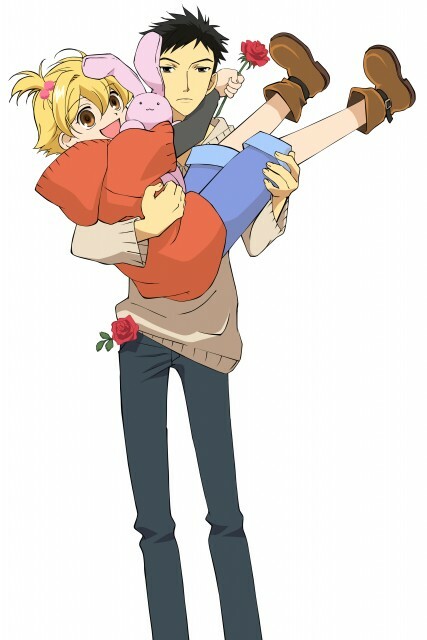 Ouran High School Host Club: Hunny, Mori and Bunbun! Minitokyo »	Ouran High School Host Club Indy Art » Ouran High School Host Club: Hunny, Mori and Bunbun! And for those of you who like my last Host Club Vector, I updated it with a new version, so check it out! This is too cute XD I *love* Mori's expression right here as it totally contrasts Hunny's XD Too too cuuute XD Great job on it, Terra-chan! Great job completing the missing parts! I love the contrasting expressions in this~! Mori does not get enough love. D: Definitely saving this~ Great job! Hello, may I use your vector act to create wallpaper ? I will put a link to here and your credit as well. This is my wallpaper , just finished. It haven't been published. I am really appreciate your work and consideration.